As you drive down the main street of Moss Vale you may have noticed a change has happened of late. What was once a sleepy town is now a bustling hive of activity both on the streets and in the historic buildings. The first thing you notice if you haven’t visited for a while is the road congestion (we can hear you Sydney locals laughing). But yes the traffic is a lot busier on the main street and surrounding roads. Where is this coming from? Well, it can be attributed to the influx of new residents who have realised the perfect lifestyle you can have in Moss Vale and surrounding suburbs. One where you can drive ten minutes to your office like Working Spaces and be able to pick up the kids from school. Secondly, you would have noticed this year has seen a major transformation of the main street known as Argyle Street. This street has for many years struggled to attract new tenants to fill the many shop fronts. Through the assistance of the MossVale Chamber of Commerce & Rural businesses were able to move into these traditional buildings and breath new life into them. Many of the buildings that you now walk past were once abandoned for many months even years. Now you see a wide range of shop fronts that are beautifully renovated, styled and on show for the public. These spaces include retail, homewares, designer artisan showrooms, cafes and professional services. The street traffic that these buildings experience everyday with not just local traffic but also tourists passing through or stopping by in the local park is a key factor in setting up at these locations. 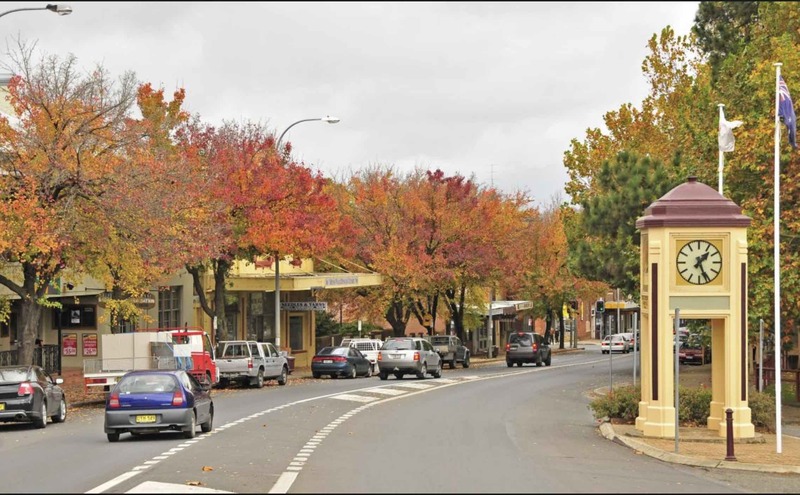 As Bowral becomes increasingly national franchised shopfronts and saturated population Moss Vale is the perfect alternative to enjoy the lifestyle of the Southern Highlands whilst being able to express their creative flair that would not be seen in other towns. Lastly, you will notice a true community spirit has been created. The locals will tell you it has always been here but now we see an increase in community events such as the Moss Vale Markets and various other leisure events throughout the year to keep everyone happy.